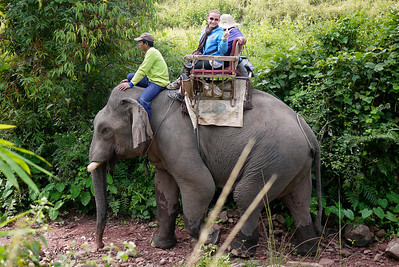 An elephant trek and a two month old baby elephant in rural Laos. 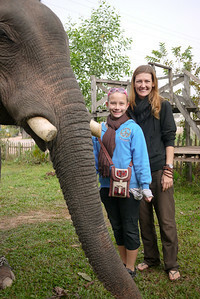 Ana and I feed the frisky bull elephant some bananas in Hongsa, Laos. 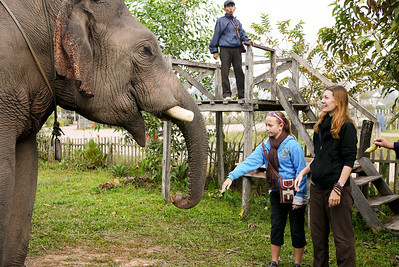 Ana is amazed by the elephant swift removal of the banana from her hand in Hongsa, Laos. 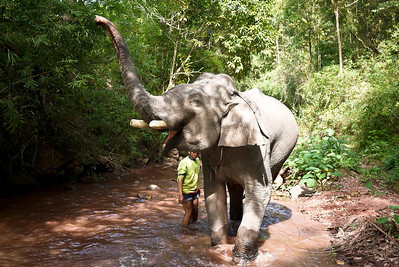 Ana tests the waters with the elephant and makes a new friend in Hongsa, Laos. 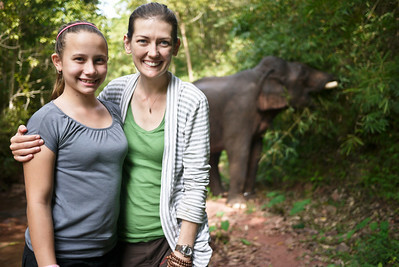 Ana and me with an elephant in Laos. 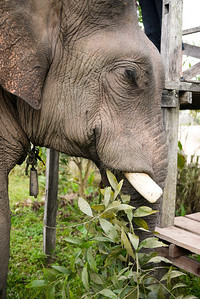 A huge bull elephant munching on trees at the Jumbo Guesthouse in Hongsa, Laos. 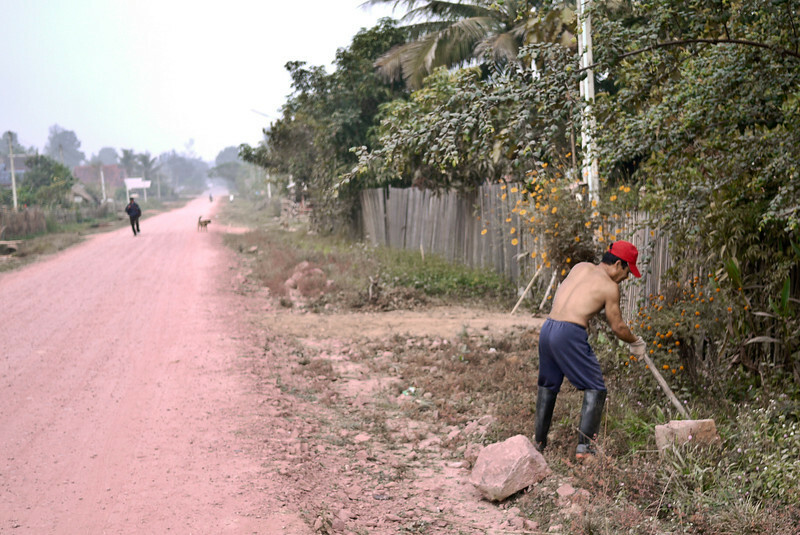 A worker digs on the roadside in rural Laos. 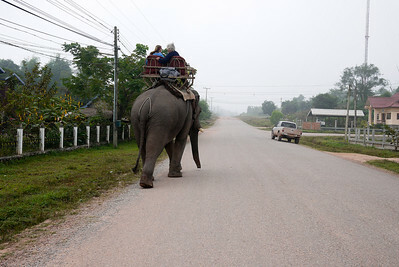 Elephant walking down the streets of Hongsa, Laos. 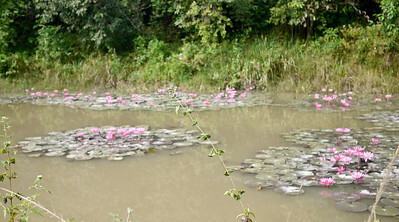 A pretty lily pond in Laos. 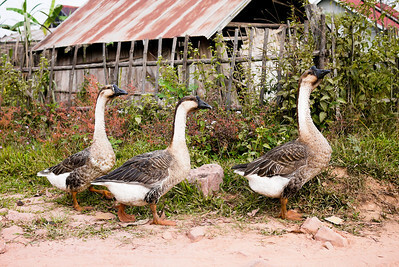 A gaggle of geese squawked by as we trekked in Hongsa, Laos. The wide plains and hillsides of Hongsa, Laos. 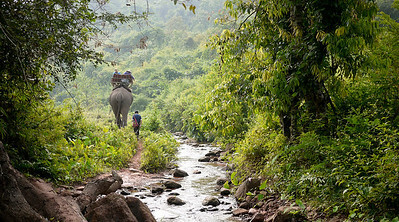 A rural elephant trek outside of Hongsa, Laos. 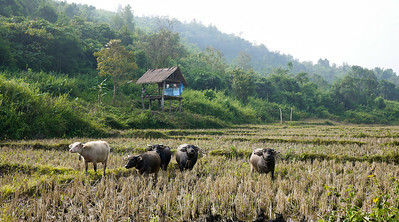 Cows in a field in rural Laos. 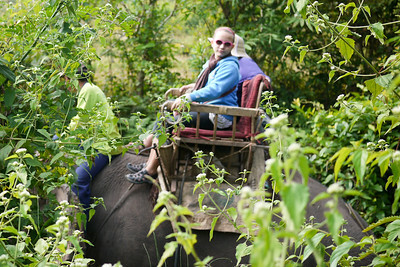 Rural Laos on our elephant trek. 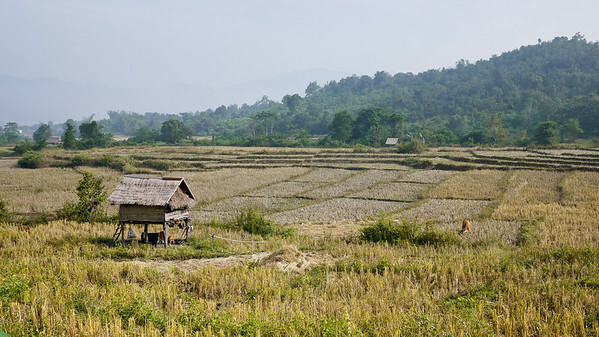 A house in the rice fields in rural Laos. 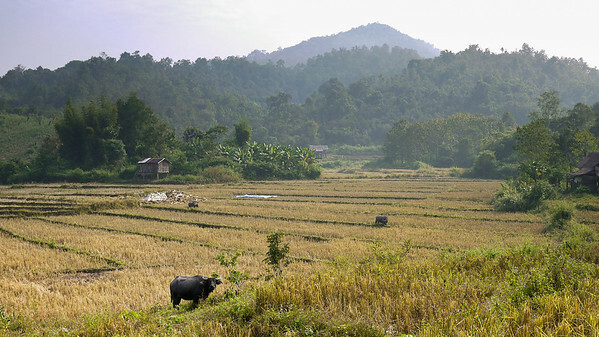 The rice paddies and wide open fields of rural Laos, outside of Hongsa. 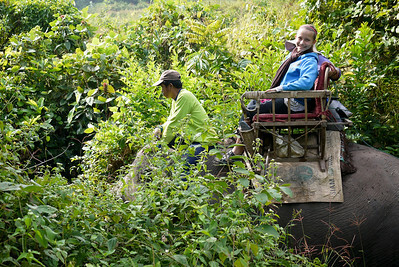 Ana hamming it up on her elephant trek in Laos. 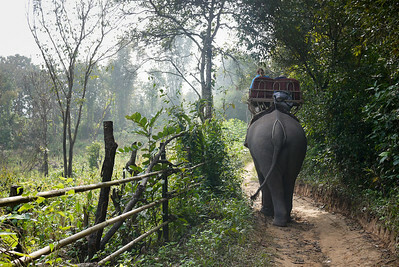 A huge bull elephant trekking in Laos. 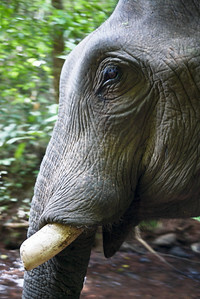 The soulful eye of a bull elephant in Laos. 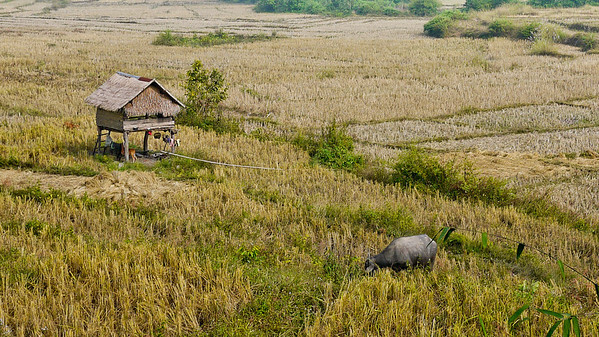 Jungles, rivers and rice paddies on a rural elephant trek in Laos. 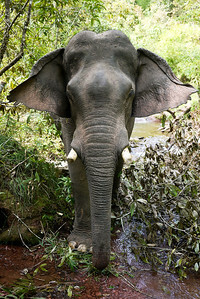 An huge Asian elephant in Laos. The elephant is pretty happy to have some free time to play in the water. 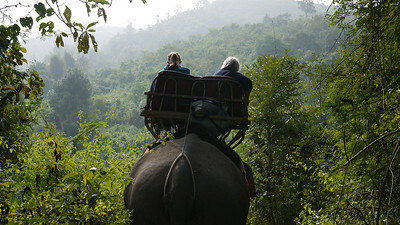 Ana and I watch the elephant enjoy his lunch in Laos.